Hussein Fatal, RIP… another Invisible Man? INVISIBLE MAN was a track off of my first solo album, entitled Carbon Cycle Diaries… I feel like I’ve grown a lot as an artist & educator since, yet it was this album that helped launch my solo/independent artist career and it was through the encouragement of well-established artists like Lord Jamar, Killah Priest and the late Hussein Fatal that the project garnered steam and I felt both supported and validated as an M.C. & griot of our Hip-Hop kulture. 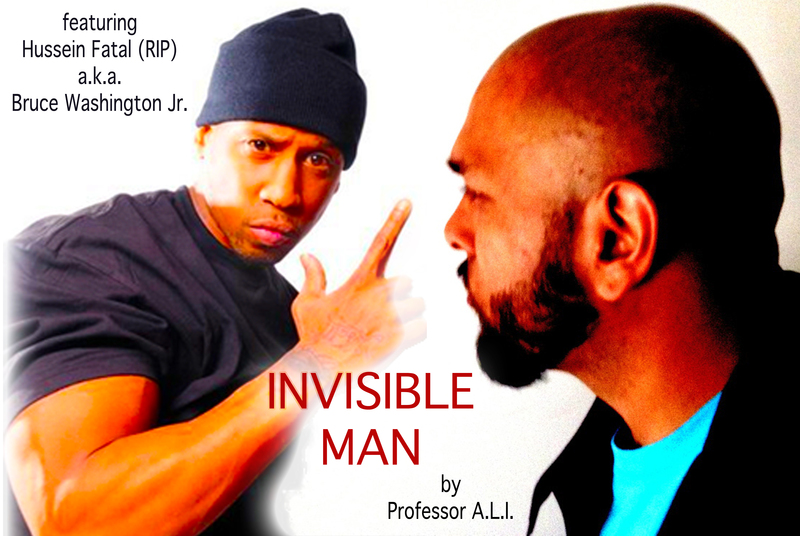 The track Invisible Man is multi-layered, it both hearkens to Ralph Ellison’s seminal work and that of H.G. Wells. 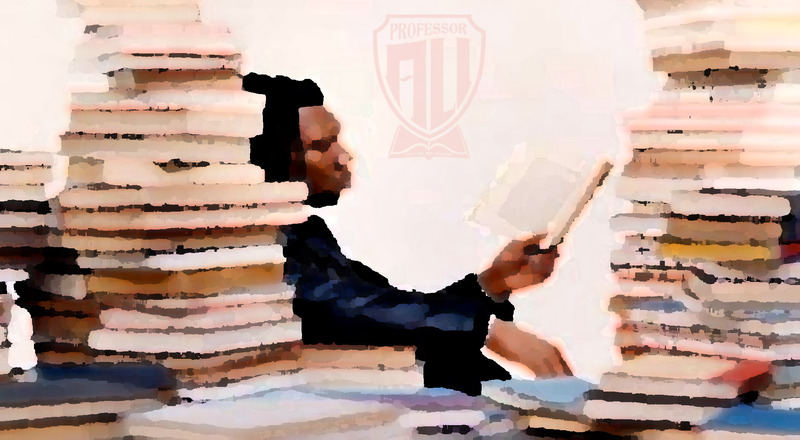 It also weaves in the idea of being invisible as an artist–paraphrasing the words of Hussein Fatal on the track and that of being invisible within a nation. It weaves in a 2pac sample is probably the most upbeat track I’ve ever done. Yet there is another layer to the track and its about being erased– and at a time in America where the world is finally noticing the erasing of black men and women from this plane of existence through police violence, the Hip-Hop community has to say goodbye to another icon and pillar of our kulture. RIP Hussein Fatal aka brother Bruce Washington, Jr. The news of your passing, caught me by surprise and I truly could not believe it. We are both the same age, not only was I a fan of your work but you helped move along my artistic career, collaborated with me and helped brew within me a sense of confidence through your humility and kind words during our brief interaction. After having to say goodbye to the Jack (the Jacka aka Shaheed Akbar) who was murdered earlier this year, to hear of a car accident that snuffed out your vibrancy is hard to bear. My prayers and thoughts are with your spirit and your family and close friends, to whom my family offers our deepest condolences–you will rest in power & peace–and your words and your legacy will make it impossible for you to be “erased”… no in truth you will be more visible than ever. I’m re-releasing & re-dedicating the song Invisible Man to you and yours. Stay blessed in heaven as you were in this life my dear brother and send my salaams to ‘Pac & Yaki in the heavenly abode. Beneath Mom’s Feet by Professor A.L.I. “When you were born,” my mother used to tell me, “you were like a little bird, so tiny.” I imagine her holding me close, easing my transition into this world and throughout my life, no one has done more for me, and especially as selflessly as she did and there hasn’t been a moment since she passed that I haven’t longed for her embrace—even though, as she breathed her last breath, she did so in my arms. People who really know me know that every night I fall asleep longing to have a dream of her, to connect with an old memory or catch a metaphysical glimpse of her form. In many ways I feel her in my life, I see her in the expressions of my children and wonder how she was when she was growing up and I wish I could see her interacting with them. She was a life long educator and she taught countless generations throughout her life how to read and write. 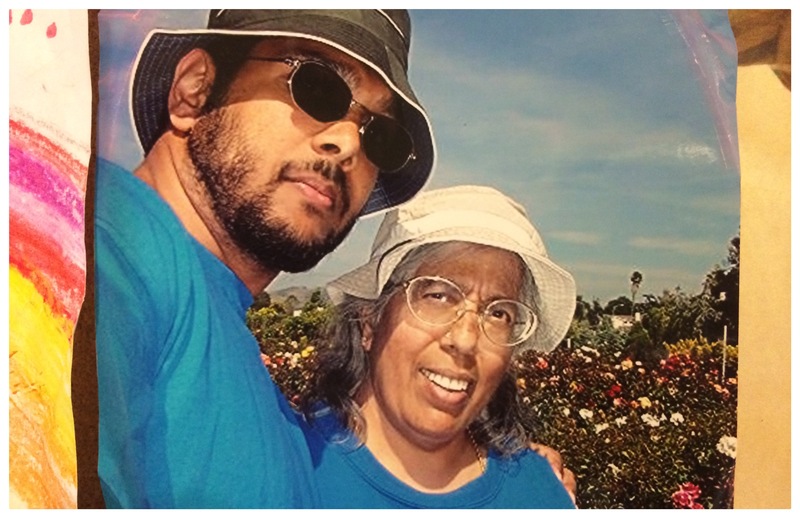 So many students, that some of my most consistent memories of her were of her helping young children from the neighborhood in her spare time, wherever we were staying learn how to read–many of whom were ESL students and recent immigrants. I began tutoring because she did. I taught because she did and I turned into an educator to be like her. I miss our walks together, her advice and ever-hopeful perspective on life. I miss her ability to make the bad days go away with a smile and hug. I miss her singing, her melodic voice, singing in the four or five languages she was fluent in as she worked around the home or when she gardened and made roses bloom more beautifully on the bushes she touched than anywhere else I have seen on the planet. She was a humanist, who believed in the multiplicity of paths to the divine, and though she turned to an Islamic way of framing towards the end of her life, she remained a lover of Krishna, Jesus and other conduits to God. Through her I find the same connection to other human beings and I find, as the Prophet Muhammad instructed, in what could be my most favorite quote in the faith of Islam, that paradise is found beneath one’s mother’s feet.